Keypads: Delta drives come equipped with LED keypads that allow the user to modify, monitor and change settings and parameters with just a touch of the finger. This easy to use step-by-step navigational tool allows you to display an array of data options. All the VFD series drives come with a standard keypad except the VFD-E series in which the keypad is optional. 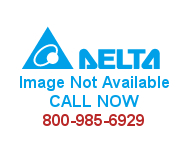 Delta recommends the VFD-PU06 LED keypad with memory when you need to copy programs from one drive to another. PURCHASE YOUR DELTA DIN RAIL KITS NOW!